Our Board of Directors consists of volunteers that are professionals in our region. We are grateful for their time and effort in ensuring a strong and safe working environment at Hôpital Notre-Dame Hospital. Gilles Samson is Chair of our Board of Directors since June 2017. He also acted as Vice Chair from 2013 to 2017. He is a retired teacher from École secondaire catholique de Hearst. Gilles has been on the hospital board for the last eleven years and has always resided in Hearst, except for when he accomplished his post-secondary education. Suzanne Rheault is Vice Chair of the Board of Directors since June 2017. She acted as Chair from 2013 to 2017. She has been a board member since 2002. For nine years, 2002 to 2011, she acted as a board member representing the Constance Lake First Nation and was then elected as a member. Suzanne Rheault is also a Registered Nurse. Suzanne started off her career at Hôpital Notre-Dame Hospital. She then continued her nursing career as a home care nurse at the Community Care Access Centre and at the Jane Mattinas Health Centre in Constance Lake, where she established and managed the Home Care Program for Constance Lake residents from 2001 to 2010. She is a board member as well as a member of the organizing committee for the Salon du livre de Hearst. She retired from nursing in 2010. Maurice Tanguay is presently the Board of Directors’ Treasurer and was once its Chair and Vice Chair. He was also elected school councillor for the Conseil scolaire du district de Hearst. He is town councillor for the municipality of Mattice-Val Côté and President of the Mattice Missinaïbi Carnival. Maurice has served as president, vice-president and treasurer on a number of committees. He is also a member of Porcupine Health Unit’s Board of Directors and President of Nord-Aski’s Economic Development Corporation. Mr. Tanguay is also a member of the Knights of Columbus. Gérard Proulx has been town councillor for 15 years. He is president of the Public Works committee, assistant to the Finance Committee, and sits on several committees. He is now retired after 30 years in business. Dr. Lianne Gauvin is President of the Medical Advisory Committee at the Hôpital Notre-Dame Hospital and Vice-President of the Nord-Aski Family Health Team. Since 2012, Dr. Gauvin practises rural family medicine in Hearst. She is also an Associate Professor at the Northern Ontario School of Medicine where she is actively involved in teaching medical students and residents. Elizabeth Howe is bilingual and also knows other languages. She worked as a nurse in St-Thomas, Hearst and Constance Lake First Nation. She filled various positions in hospitals, nursing homes, CCAC, VON and community health centres. 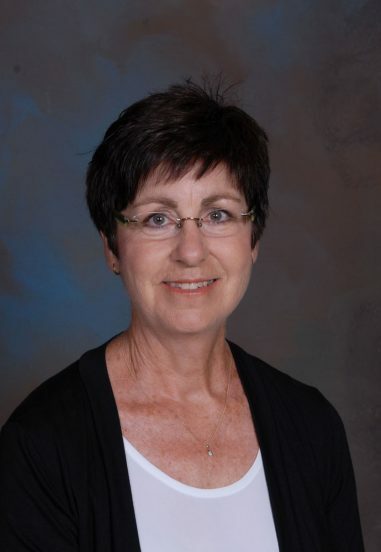 Ms. Howe is presently retired, but she worked as a Community Health Nurse in community health prevention and promotion, immunizations, communicable diseases, and harm reduction. She was also a nurse on-site working with a coordinator for NOSM’s (Northern Ontario School of Medicine) first-year student placements at Constance Lake First Nation. Her interests lay in ethic principals. Mrs. Louise Gauthier-Brisson is an active member of the Board of Directors at the Hôpital Notre-Dame Hospital. She has over 35 years of experience as a nurse and she is presently acting as a Nursing Consultant with Health Canada, the Jane Mattinas Health Centre and for Health Link. She has been a member of the Hôpital Notre-Dame Hospital’s Board of Directors since 2014 and she is also Chair of the Quality and Patient Safety Committee. Mrs. Gauthier-Brisson has worked in Public Health, Primary Care and as a Practice Consultant. She obtained her Nursing diploma from Northern College in 1981 and her Nursing degree in 1993 from Laurentian University. Mr. Michel Brière is Mayor for the Municipality of Mattice-Val Côté. He occupied a variety of positions in the forest industry throughout his career, ranging from heavy equipment operator to maintenance supervisor and planer mill superintendent. He is an active member of the Fire Department and of the First Response Team in Mattice-Val Côté. Mr. Brière has been a member of the Hôpital Notre-Dame Hospital’s Board of Directors since 2012. He currently serves on a number of other boards, including the Nord-Aski Family Health Team, the Porcupine Health Unit and the Northeast Community Network. Lynda Morin is the Chief Executive Officer of the Hôpital Notre-Dame Hospital since September 2, 2016. She has been an employee at the hospital for 34 years where she started as a staff nurse for five years. She moved on as nursing manager for 18 years, and then acted as occupational health and infection control and prevention nurse for seven years. She also acted as the Director of Nursing for two years prior to taking the position of Chief Executive Officer. Lynda has completed a two-year program in management with the Canadian Hospital Association and a basic infection control and prevention course at Queen’s University’s Faculty of Health Sciences. Mrs. Nadia Boissonneault Alary is a member of the Hôpital Notre-Dame Hospital’s Board of Directors since June 2015. She obtained her bachelor’s degree in Occupational Therapy from the University of Ottawa and has over 15 years’ experience in the community health sector. She currently provides occupational therapy services to North East Community Care Access Centre patients. Nadia is a member of the College of Occupational Therapists of Ontario, the Canadian Association of Occupational Therapy and has also served on her local minor hockey association. Dr. Richard Claveau graduated from medical school at the University of Ottawa in 1998 and he graduated in family medicine from the Northern Ontario Family Medicine Program in 2000. Established in Hearst since 2000, he practises family medicine as well as working at the Emergency Department, in obstetrics and other medical procedures. Dr. Claveau obtained additional skills to perform caesareans in 2009 and has been independent since 2010. He has also been involved with the Northern Ontario School of Medicine since the beginning. He acts as a medical student supervisor since 2005. He is Chief of Staff since June 2015. Mrs. Marielle Carbonneau is the Auxiliaries’ representative on the Hôpital Notre-Dame Hospital’s Board of Directors. She is a retired school teacher. Mrs. Carbonneau has served on many boards. She is the president of the Hôpital Notre-Dame Hospital Auxiliaries as well as the president of the provincial registration committee for the Hospital Auxiliaries Association of Ontario. Mrs. Manon Therrien-Pinto is the new Director of Nursing since October 8, 2018. She began her career at the hospital as a patient nurse in 1990. During her career, she has worked in various services such as in maternity, pediatrics, surgery, acute care and at the emergency. Since 2004, she has held the position of Executive Leader of Ambulatory Care and Surgical Suite until her appointment as Chief Nursing Officer to manage the quality and safety of patient care.